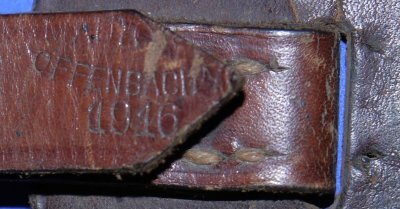 In very good condition, a WW1 German / Prussian M89 Schleswig Holstein Nr. 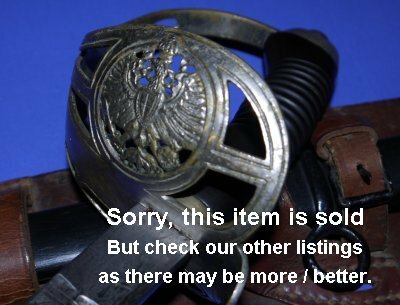 16 Hussar Officer's Sword. 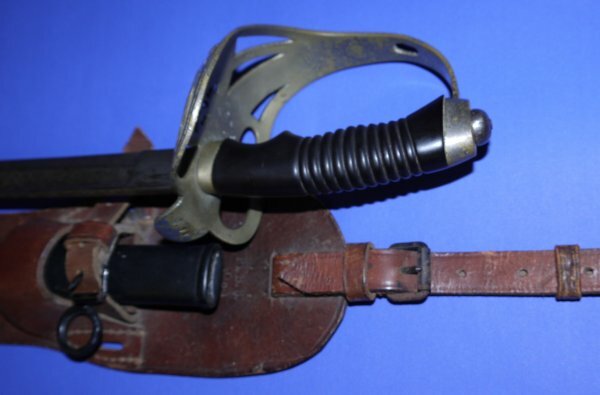 A WW1 (dated 1916 to leather strap) post 1910 M89 Degen (single suspension loop, blackened scabbard), private purchase sergeant's sword etched to "Husaren Regiment (Schlesw Holst) No. 16" (Husarenregiments "Kaiser Franz Joseph von Österreich, König von Ungarn", Schleswig Holstein Nr. 16), who were part of the German 18th Cavalry Brigade during WW1. 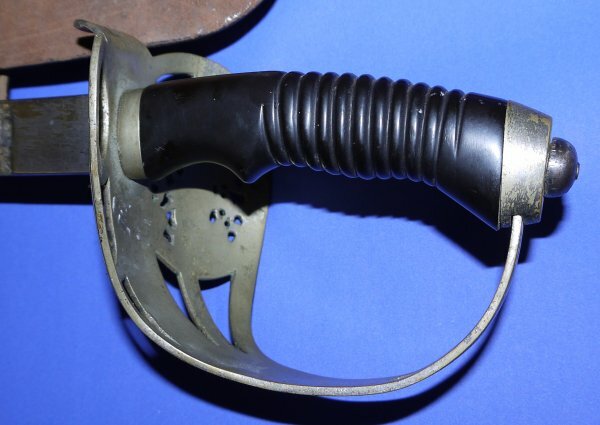 The owner survived WW1 because it has unit marks to the inside of the hilt (German soldiers were required to put their swords into store at the end of WW1 and marked them thus for later identification / claim) but no other state (inspection, etc.) marks. The 32 1/2 inch blade is in very good condition, a little patina here and there, firm in the hilt. 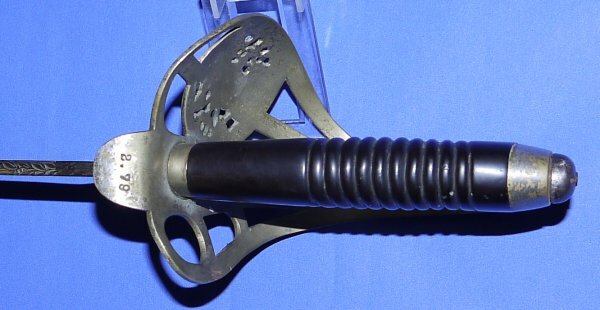 The hilt is good though a little aged and the guard perhaps a little bent (perhaps not, it is hard to tell). Grip good. The black steel scabbard is good. The leather straps, etc. aged but generally good. A superb example and well etched / marked. A collector's dream for just £? (too late, now sold). Please quote item reference S95 (0727). Further / full sized images available upon request. Photo of the regiment's officers in 1908 below.